I'd like to say a big HELLO to my new followers.....it's lovely to have you here, and I'll be paying you a visit, if I haven't already done so......you poor things...haaa! It's another Bank Holiday, here in the UK, and we've had the weather to go with it........wind, rain and cold.....haa! I've always thought we had a bit of a daft system for these extra holidays.........loads of 'em in the Spring, one in the Summer.......and then nothing until Christmas! 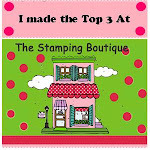 Hubby was working, so I had a chance to have a bit of a tidy in my craft room, and even got to make a card......yaaaaay! I'm really falling behind with making family and friends birthday cards, so I'm hoping that I can carry on ignoring the huge pile of ironing that's taking over the dining room table....easy-peasy...heehee! I used to quite enjoy tackling the ironing....just as well with 5 kids.....but, since getting lymphoedema in my arm, following radiotherapy, it's become a real chore.......much easier to craft, lol. I layered up some flowers from my stash.....not sure where I bought these......and added a button and some die cut leaves........I luuuuurve that pretty strawberry paper! The sentiment circle is from Pink Gem....just added some red colouring around the edge.....and placed on top of a die cut red fence.....cute! Gorgeous card Anne Marie. Ignore the ironing I have just pushed mine to the end of the table so I can get some colouring done!!! Now it's good to see you've got your priorities right! hehehe I to love to lay aside those kinds of things for crafting! Beautiful card, wonderful flowers and I love that fence! SO pretty! I love all of the red. I think I need to subscribe to some of your magazines - you always get such lovely things from them! PS. I HATE ironing - so I just don't. My hubby knows this and lives with wrinkled shirts. Gorgeous colour combo. love the image and colouring, so eye catching..beautiful. Super, super card. The little image is lovely, and you've coloured it up in such a pretty way. I have that little pack of papers, and I've enjoyed it so much. Delightful card Anne-Marie. Love the bright colours the flowers and the gingham! Saw it on MIM and had to take a closer look - glad I did. very cute!! love the paper!! Buy polyester, no ironing needed and last for centuries. Such a gorgeus card! I love the colours. 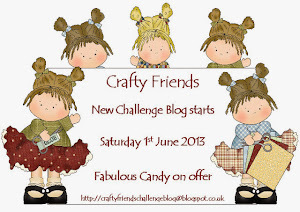 I adore this image and the gorgeous colours you have used. I saw you on MIM. I am number 60. Lovely, lovely, lovely. real summery card. The layout is great. Beautifully done! I love the color combination you used. Someone taught me to spray my clothes with a water bottle and tumble them in the dryer to get the wrinkles out instead of ironing. Works well on most things, but not 100% cotton. I can't remember who taught me that, but sure am thankful they did. Hugs!!! Oh, I just love her in red! She's such a darling image, and your papers and all the extras are a great design for her. So cute! Super cute card, Anne-Marie. Adorable image and colored wonderfully. 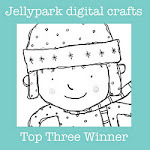 Thanks for sharing it with us at Craft Your Passion Challenges. Anna-Marie, this is craft-a-licious! I love your colors and papers. The flowers and other embellishments make it extra yummy and you colored the sweet image beautifully. I saw this first on Make It Monday and had to pop over for a closer look. Beautiful card! I think the torn and inked edges really add to the earthy, magical fairy image! I HATE ironing! I don't have any medical reasons for not doing it, I just don't wanna!!!! tee!hee! Love your project! So fun and pretty. 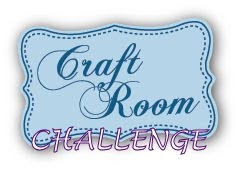 Thanks for playing with us this week at Craft Your Passion Challenges!